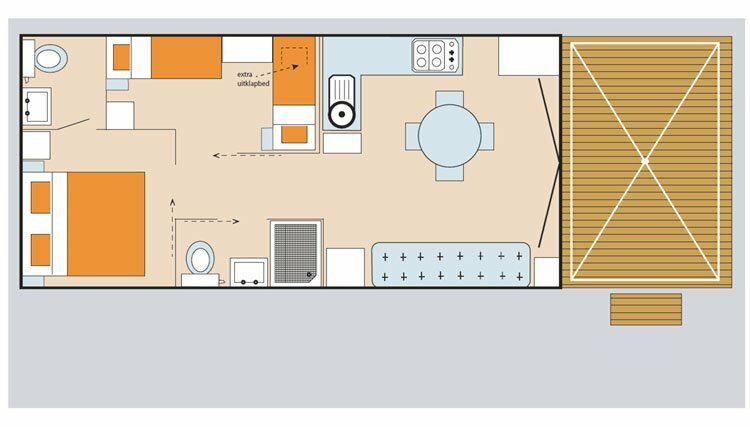 With its 4m x 7.6m dimensions, this mobile home has a large and spacious living and kitchen area. 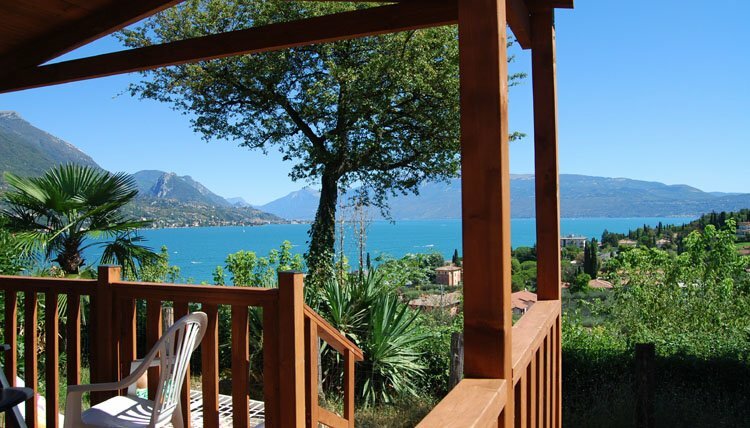 With sliding doors opening onto the wooden terrace outside it offers a wonderful lake view over the bay of Saò and the little harbour of Portese. 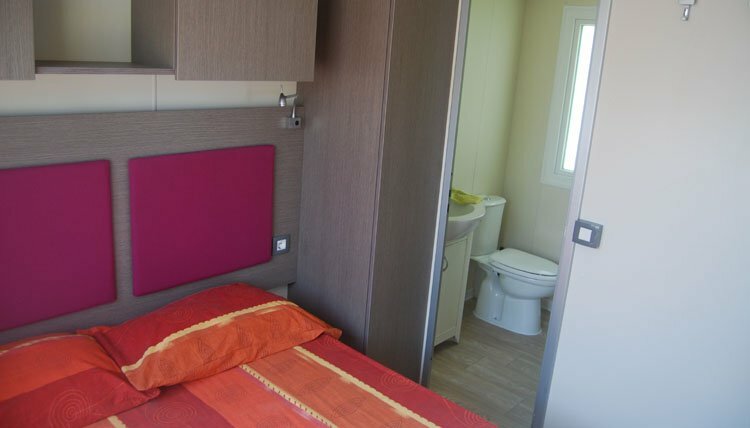 We offer this mobilhome exclusively on campsite Eden. 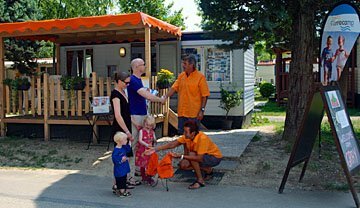 Thia mobilehome is exclusively designed for Gustocamp and has the terrace at the front-side. 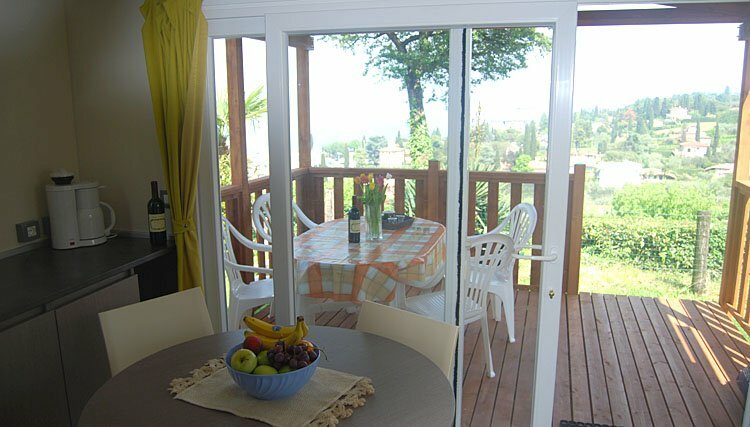 It is large ( 4,0 x 7,60 m) and offers a spacious and comortable living - dining area. 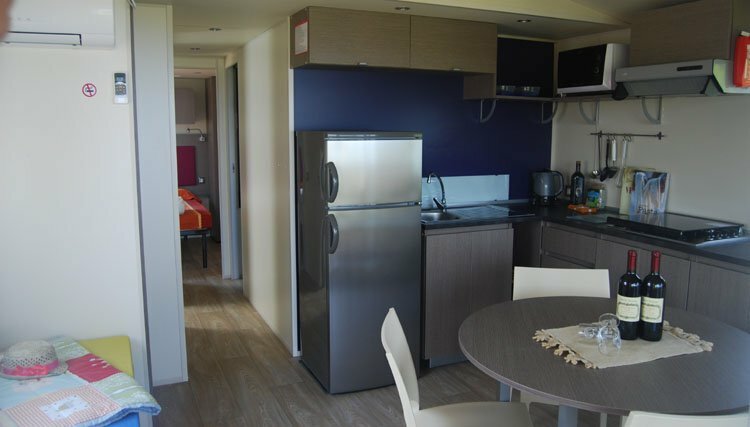 There is a well equipped kitchen area with everything you need for a enjoyable holiday, including air conditioning. 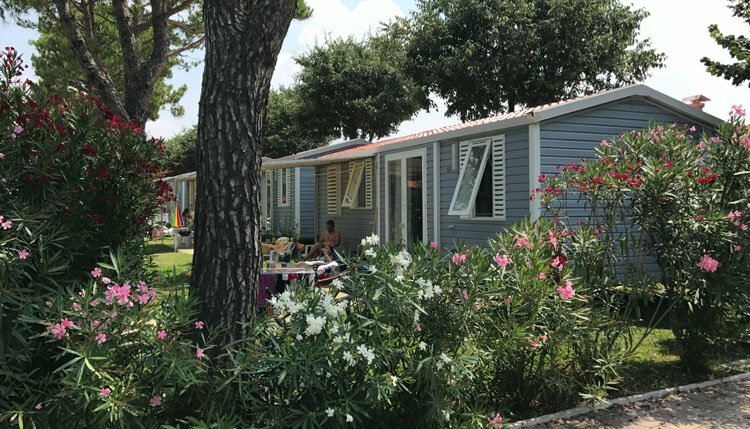 The well equipped kitchen area has a large fridge-freezer, gas hob, microwave oven, coffeemaker, waterkettle and everything else you need for an enjoyable holiday. 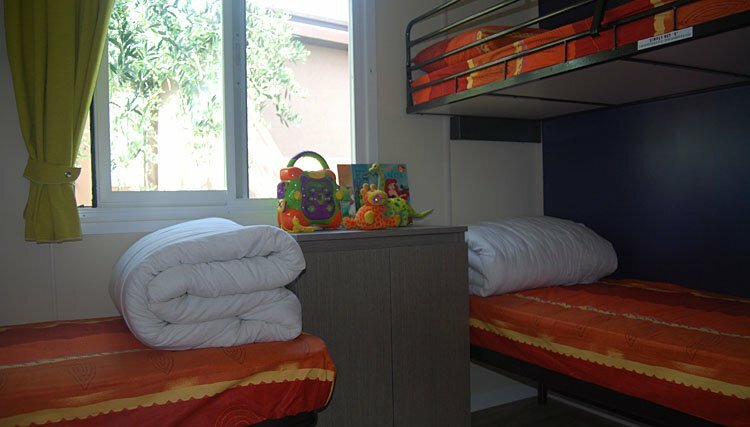 There is a double bedroom and a second bedroom with 1 single bed plus a bunk bed. (for a child up to 10 years). If neccessary the bank in the living area can be tranformed to a 6th sleep. 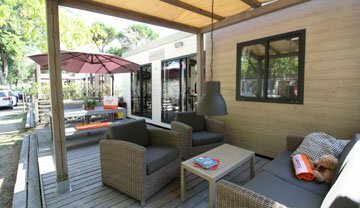 There is a spacious bathroom complete with shower, toilet and sink and another bathroom with toilet and sink with direct access from the master bedroom. Beautiful campsite! What a way to finish the day, drinking an aperitif on the roof terrace with stunning views of the Garda lake.